TECNO today released its premium PhonePad 3 phablet in Nigeria. Tagged ‘Do business, stay mobile’, the device was made with the intention of facilitating business communications and productivity for its users on-the-go. As TECNO’s best 7-inch phablet, it has lots of upgrades in performance and design on the PhonePad 7E that was released last year. 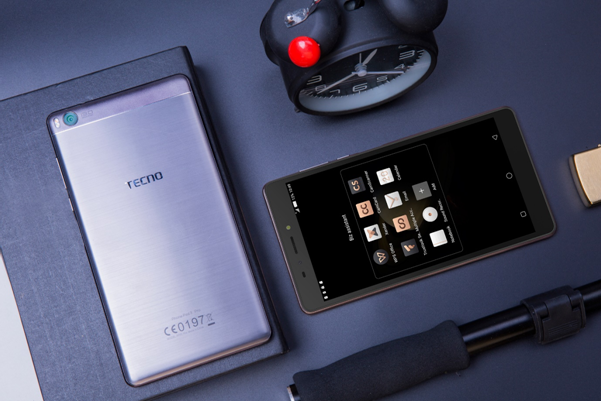 Speaking of the device, the Marketing Director of the TECNO Tablet Business Unit, Mr. Steven Huang said, ‘There is a dilemma for modern business man: phone is too small to deal with some daily work, while laptop is too heavy to carry wherever you go. Here comes the PhonePad 3, a user friendly high-end device carrying the mission of offering an improved and efficient business life’. As mentioned, this new TECNO PhonePad 3 comes with a well-crafted brushed metallic body. It is much slimmer than you can imagine. TECNO PhonePad 3 is equipped with a 7-inch HD screen. And it has a high screen-to-body ratio reaching to 74%. Everything just becomes bigger and clearer on such a large screen. The HD display delivers a noticeably more brilliant and vibrant effect. TECNO PhonePad 3 is powered by a large 4100mAh battery which supports up to 2 business day usage when fully charged. It boasts an improved memory of 2GB RAM for easy multitasking without lag. 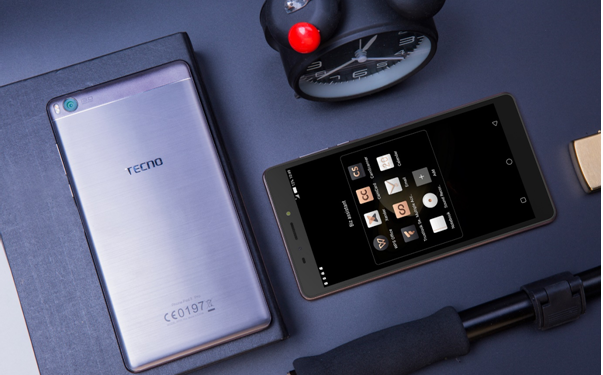 Equipped with a 16GB internal memory, the storage can be expandable up to 128GB via the MicroSD card slot. 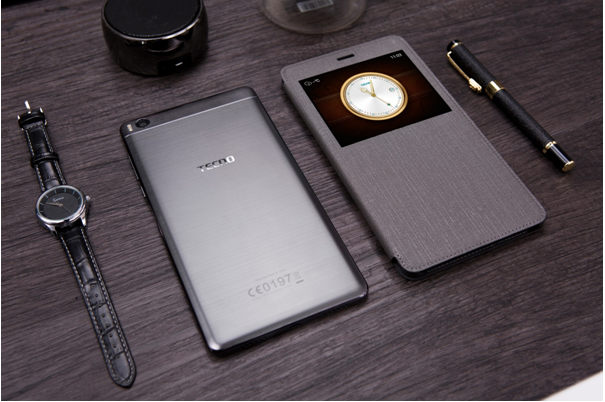 The Fingerprint sensor by the side unlocks the phablet easily and safely with just one touch, it can also work as a mini touchpad for reading, browsing, etc. The phablet comes with a 5MP front camera with flash and a 13MP rear camera with dual true tone flash, enhancing the camera’s ability to take superb pictures in lowlight. 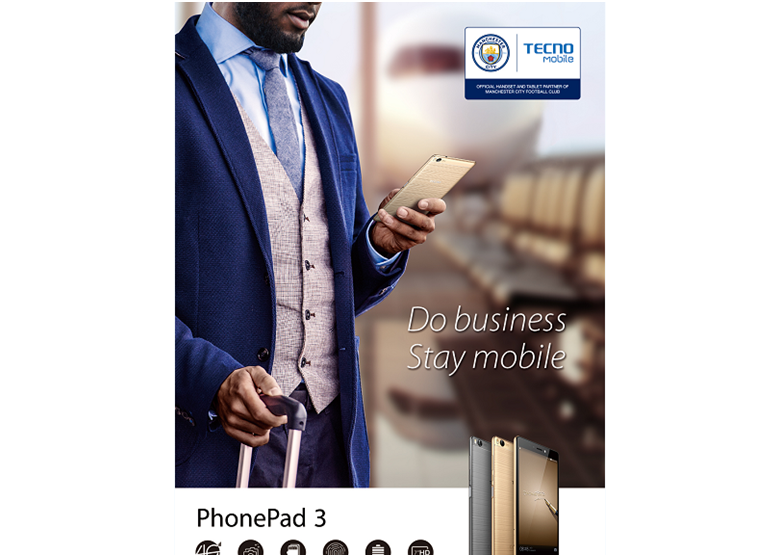 TECNO PhonePad 3 is pre-installed with premium applications for enhanced business productivity. Camcard is just like an electronic business card holder which allows users to easily manage business cards and find contact details of others easily. Cam-Scanner comes in handy for scanning documents and taking records at a single tap. WPS Office is paired with the 7-inch display, which makes read, modification and edition become much easier when on-the-go. TECNO PhonePad 3 supports dual Micro SIM functionality withultra-fast 4G LTE connectivity, which makes it faster to share files and business information across the internet. The device not only appeals to the business elite but all premium gadget lovers as well. The TECNO PhonePad 3 is now available in all retail outlets across the country.